Nora Murphy Country House - Serving Country House Style Daily! Welcome. 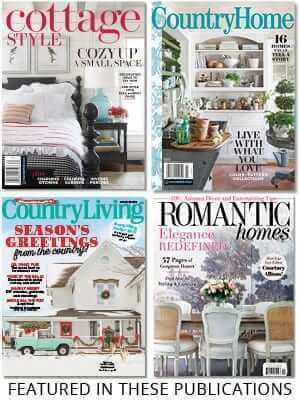 Now Serving Country House Style Daily! There are a thousand ways to put Country House style into your life – it comes down to the details. All those thoughtful littles add up to One. Great. Big! Browse the photos. Try something – just one thing – today and see if it doesn’t change your POV. And visit again tomorrow for more exclusive, new pics and ideas!